In October, international collaboration STAGMA invaded the airwaves with the release of their first single, "Pokerface". Today, the band unveiled a new chapter in their career with confirmation of the release date for their new album. The self-titled Stagma will come out on 6 April 2018 and will feature 10 songs. You can see the track listing for the album below. The first track is "Genesis", an electronic introduction from gaming legend Jeroen Tel, and "Sister Sister" features Simon Wright of AC/DC on drums. 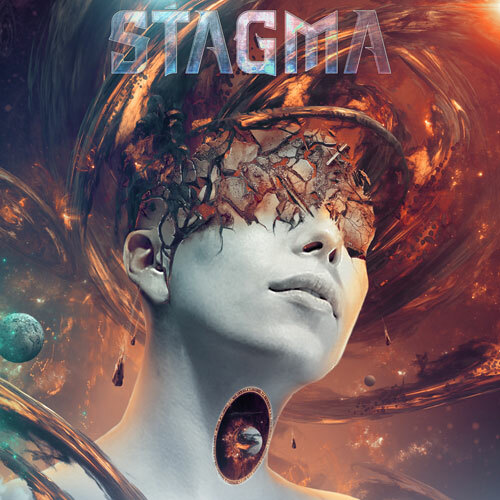 STAGMA was the brainchild of Alex Santos, guitarist, producer and composer with SCAR FOR LIFE, who joined forces with Joe Petro (HEAVEN AND EARTH), Vinny Appice (BLACK SABBATH/DIO), Neil Fraser (TEN, RAGE OF ANGELS) and with the intention of forming a new heavy rock supergroup. STAGMA was born out of this collaboration, which was completed with the addition of lyricist/vocalist Rob Mancini (SCAR FOR LIFE, BONEYARD DOG) and drummer Patrick Johansson (Yngwie Malmsteen, W.A.S.P.). The album was produced by Alex and will be released through Headshell Records. The album will available to download from all good streaming services and pre-orders for the CD, which will include a bonus track, "Castaway", can be made from Headshell Records (www.headshellrecords.com).